We’ll be showing our newest machine at IWF 2018 in Atlanta this year. 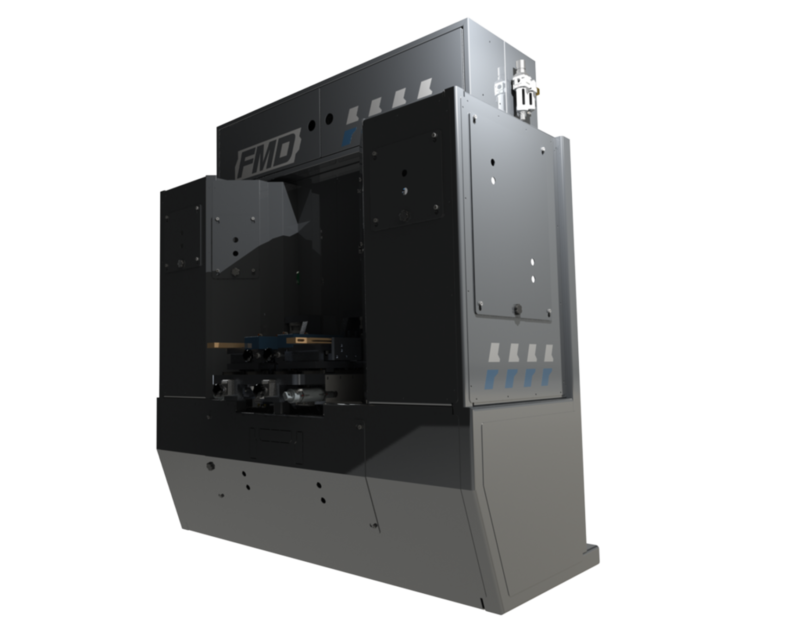 The FMD is a PLC driven French Miter Door machining center used for producing high quality haunch joints, which are used in cabinet door applications. Pillar Machine is the leader in industrial machinery manufacturing and is one of the few that’s made in the USA. Whether you are a small shop or a large corporation utilizing our proven machines or custom manufacturing solutions, we focus on your individual production requirements and strive to provide an affordable and integrated solution that will give your business the highest competitive advantage. Our commitment to innovative engineering has earned us the reputation of producing the highest quality and most competitive industrial woodworking machinery manufacturing in the global market. We’re constantly innovating new and exciting products for both our stock machine product lines and custom manufacturing solutions. Our machines have won nationwide industrial machinery supplier awards, including the Challenger’s Awards, numerous Challenger’s Award Finalists, and many patents. You may know us for pre-glued dowels, CNC bore and dowel machines, and many other products for which we hold the patents.